You are here: Home > MCSD News & Alerts > MCSD News & Alerts > CMS News > Stay Informed! 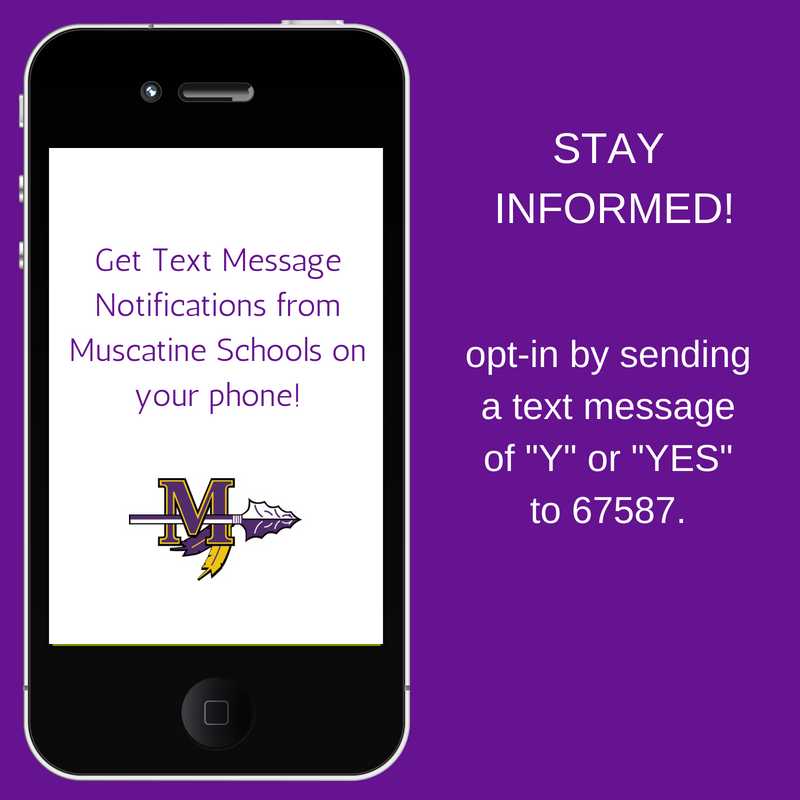 The Muscatine Community School District uses the School Messenger service to send important messages to staff and families throughout the school year about things like weather-related outages, attendance notifications, announcements about events happening in our schools, etc. You can also receive many of these notifications via a text message but ONLY if you choose to opt-in by sending a text message of “Y” or “YES” to 67587.